Captain Joe Ledger—former cop, former Army Ranger, and currently the top-kick of Echo Team, an elite squad of first-class shooters who roll out to face down the world’s most dangerous terrorists. Not fanatics with explosive vests or political hostage takers. Joe and his team square off against terrorists who have the most advanced and exotic weapons of mass destruction, designer bioweapons, cutting-edge transgenics … real mad-scientist stuff. If they have to call Joe Ledger—it’s already hit the fan. 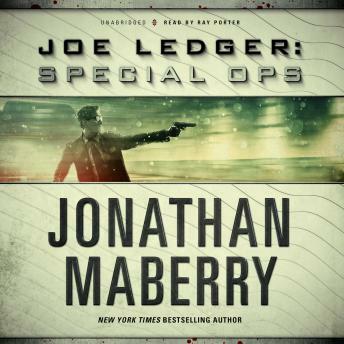 Joe Ledger: Special Ops collects several of the Ledger short stories and presents two brand-new tales exclusive to this volume. Bonus features include character profiles and a never-before-published glimpse behind the scenes of the Department of Military Sciences. If you're a Joe Ledger fan this is very good. It does have some spoiliers in it, most especially in the later novels. And especially if you are relying on simply audio books to have a complete series - apparently they've moved on from this series stopping at King Of Plagues and ignoring Maberry's other books in the series (and e-mails on the subject go completely unanswered). Worth the listen.